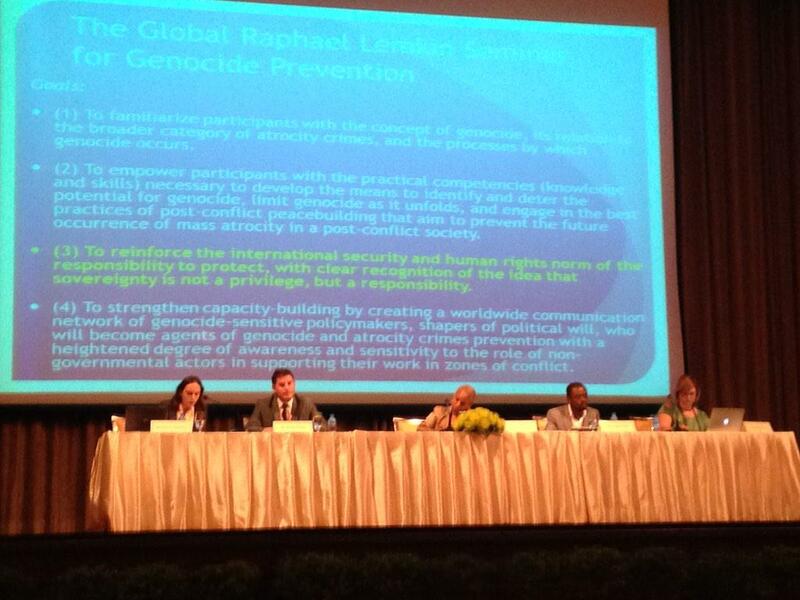 On February 26 and 27, 2015, AIPR’s Director of Policy and Planning Samantha Capicotto joined colleagues from across the globe to commemorate the 10th anniversary of the adoption of R2P at a conference co-organized by the Asia Pacific Centre for the Responsibility to Protect, the Cambodian Institute for Co-operation and Peace, the Global Centre for the Responsibility to Protect, The Stanley Foundation and the International Coalition for the Responsibility to Protect. 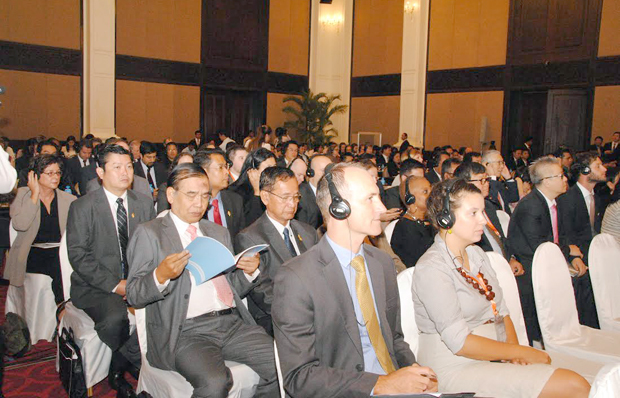 The conference, “The Responsibility to Protect at 10: Progress, Challenges and Opportunities in the Asia Pacific,” highlighted how far R2P has come and considered how the principle can be further embedded into state practice and into the work of regional and sub-regional organizations across Asia Pacific and beyond. On February 27, Mrs. Capicotto shared her perspective on these topics at a panel titled, “Training and Educating for Prevention: Lessons Learned, Future Directions.” The lunchtime discussion was chaired by the Stanley Foundation’s Angela Bruce-Raeburn and featured Sarah Teitt of the Asia Pacific Centre for the Responsibility to Protect, Mr. Frank Okyere of the Kofi Annan International Peacekeeping Training Centre, Ghana, and Patrick Travers of the UN Office of the Special Advisor on the Prevention of Genocide and R2P. Mrs. Capicotto’s presentation focused on AIPR’s methodology and lessons learned from our work in education for prevention. 5) Ensuring that the training itself is part of a continuous relationship with the participants and their institutions wherever possible. Follow-up is essential.